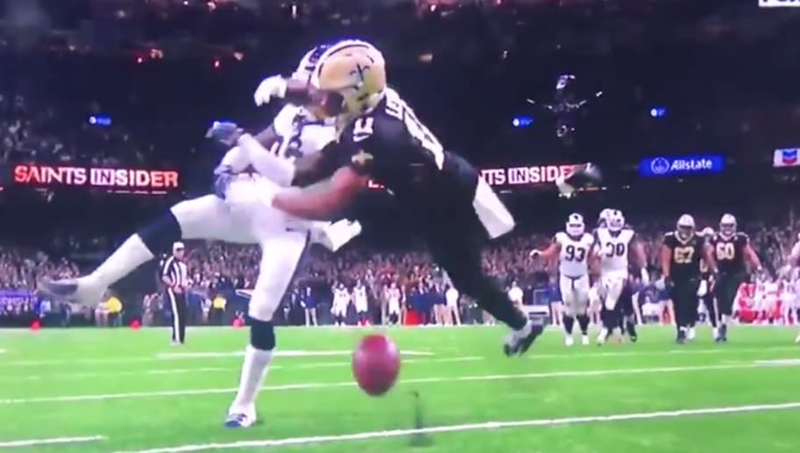 Whether you're a fan of the Saints or not, you have to feel for New Orleans after they were essentially screwed out of a trip to the Super Bowl due to horrendous officiating. 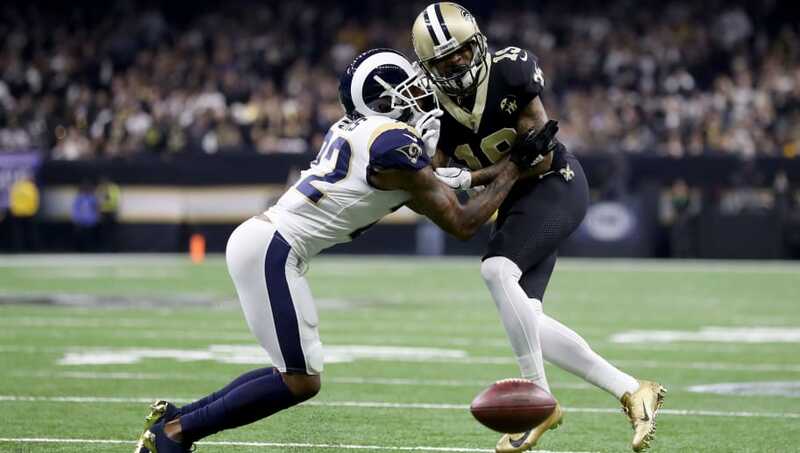 Throughout the game, it seemed like the Saints were playing against two teams, the Rams and the referees, as their momentum was killed at every turn because of missed calls. After reading this list, you'll understand why some are calling for making some penalty calls reviewable. They say there's holding on every play, but this time around the refs clearly saw something that wasn't there. 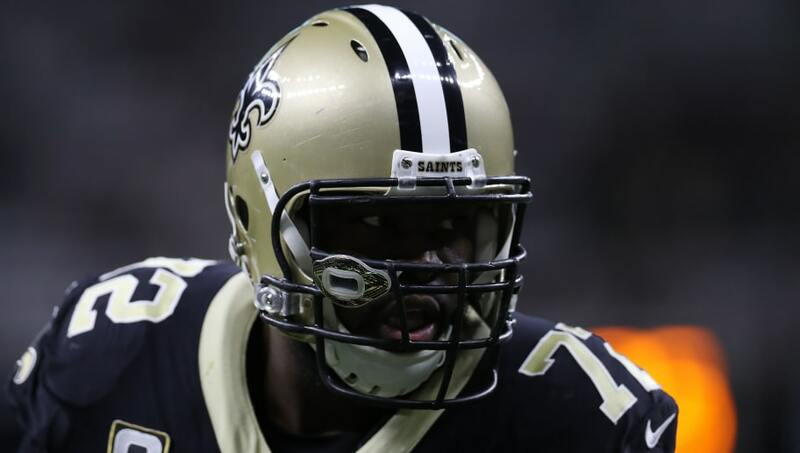 After forcing a Rams punt early in the final quarter of regulation, the Saints ran the ball to the left with Mark Ingram for a gain of four, which was negated by an apparent hold by New Orleans left tackle Terron Armstead. Looking at the play again, it's clear that the block was clean, but unfortunately for the Saints they got pushed back into their own territory again and could not gain the 20 yards necessary for the first down, preventing them from scoring. The Saints took the field after the Rams' second touchdown and seemed to be marching down the field to try and respond to the score and extend their 20-17 lead. After a pair of easy first downs, the Saints made it to the Rams 47 after a three-yard reception by Mark Ingram. Going for the first, Drew Brees found Ted Ginn Jr. but he was manhandled by the Rams corner. No call for pass interference? Nope. What a joke. This play will be forever seared into the memories of Saints fans. With the game tied at 20-20, New Orleans had a chance to put the game away late in the fourth quarter as they got the ball with under five minute remaining. The Saints drove all the way to LA's 13 yard line when Brees made a great throw near the sideline to Tommylee Lewis. Before he had a chance to make a play on the ball, he was TAKEN OUT by Nickell Robey-Coleman, who targeted Lewis the whole way. 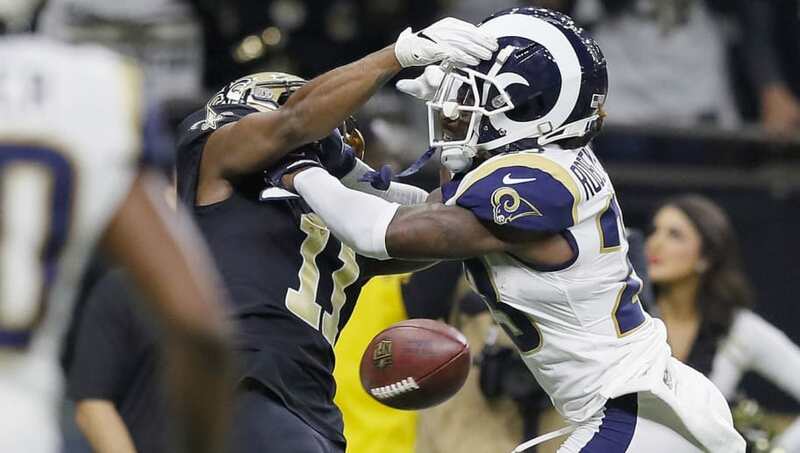 It was one of the most blatant missed calls in NFL history and resulted in the Saints having to kick a field goal and give the ball back to the Rams with WAY too much time left on the clock. The Saints, in theory, could have ran the clock down to just a few seconds left and kicked the game-winning field goal. The NFL has already come out and admitted they blew it. Wow.